Since its founding in 1998, Emergent BioSolutions has had a focused mission - to protect and enhance life. The company has evolved considerably over 20 years, addressing not only chemical and biological threats, but also existing and emerging infectious diseases, and other threats to public health, such as the ongoing opioid epidemic. Emergent got its start in the U.S. when the company acquired the Michigan Biologic Products Institute, through a public auction, from the Michigan Department of Health. 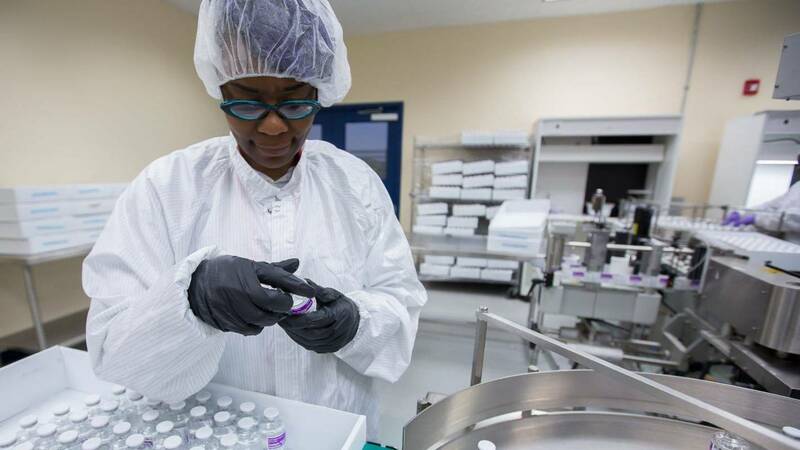 The assets included a 12.5-acre campus, approximately 180 employees and several products licensed by the U.S. Food and Drug Administration (FDA), including the only FDA-licensed vaccine to protect against anthrax disease. This product, which Emergent continues to supply for use by the military and for the U.S. Strategic National Stockpile, was the cornerstone on which the company began to build its business. From this foundation and initial work with anthrax and other vaccines, Emergent has grown its global footprint, core competencies, platform technologies, and product portfolio, both organically and through strategic acquisitions. Currently the company has 11 products, over 15 product development programs, four platform technologies, 9 manufacturing facilities, and more than 1,600 employees across 19 locations worldwide, whose work focuses on providing specialty products for civilian and military populations that address accidental, intentional, and naturally occurring public health threats. In addition to the only licensed anthrax vaccine, Emergent develops and manufactures vaccines and therapeutics that address other biological agents such as smallpox and botulism, and existing and emerging infectious diseases like Ebola, Zika, typhoid, cholera and influenza, as well as drug-device combination products that address the threat of exposure to chemical warfare agents and nerve agents as well as opioid overdoses. "Emergent has prioritized offering protection to first responder teams and intergovernmental and non-governmental organizations that operate in potentially high-risk areas, such as Red Cross and Doctors Without Borders"
With its long history of delivering on its government contracts for the development and supply of medical countermeasures for the U.S Strategic National Stockpile, Emergent has earned a strong reputation as provider of chemical and biological threat preparedness solutions. The company serves not only governments, but also international organizations, such as the European Commission, North Atlantic Treaty Organization, and the World Health Organization. The majority of Emergent’s customers are in the U.S., but the company is expanding internationally, specifically throughout Europe and Asia, to help support the international community’s preparedness goals. The company’s anthrax vaccine, which was originally licensed only in the U.S., Singapore, and Germany, was approved recently through a mutual recognition procedure resulting in licensure in five additional European countries: Italy, France, Poland, the United Kingdom and the Netherlands. This international expansion has coincided with a heightened awareness in Europe of the importance of preparedness against CBRNE threats. The European Commission, for example, has a Joint Procurement Agreement, which aims to secure equitable access to medical countermeasures and an improved security of supply, coupled with more balanced pricing for participating E.U. countries. As the threat assessment has evolved significantly over the past few years, Emergent has prioritized offering protection to first responder teams and intergovernmental and non-governmental organizations that operate in potentially high-risk areas, such as Red Cross and Doctors Without Borders. Emergent is proud of the work it does to achieve its mission especially with the increased threat of chemical or biological weapons due to advances in technology. 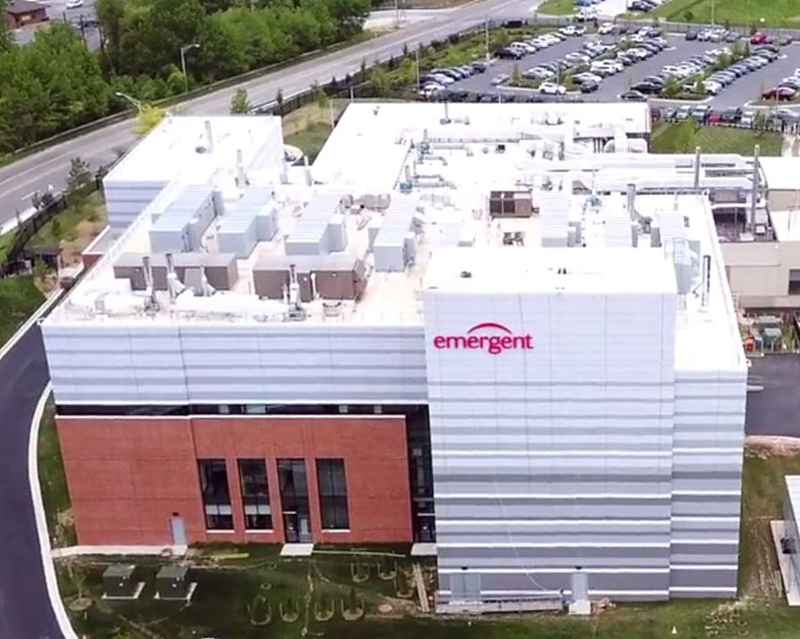 As part of its role as a solutions provider for governments, Emergent's Bayview Campus in Baltimore, Md., was named a Center for Innovation in Advanced Development and Manufacturing (CIADM). The facility, which is a result of a public-private partnership with the Biomedical Advanced Research and Development Authority (BARDA), is one of only three centers designated by the U.S. Department of Health and Human Services to provide advanced development and surge manufacturing of medical countermeasures to support the U.S. government’s national security and public health emergency needs. The Emergent CIADM provides flexible manufacturing to address biological threats and emerging infectious diseases, with surge capacity infrastructure of biologics based medical countermeasures. Over the past two years, Emergent has doubled the Bayview facility’s footprint to 112,000 square feet with investments to its original 56,000-square-foot facility purchased by the company in 2009. The facility, comprised of laboratory, manufacturing and office space, offers flexible manufacturing of drug substances from microbial, cell culture or viral production platforms and is equipped with disposable manufacturing technology that enables Emergent to meet the government’s domestic preparedness priorities on a cost-effective, reliable and sustainable basis. Since its inception in 2012, the Emergent CIADM has been awarded four task orders by BARDA to develop candidates for Ebola and Marburg therapeutics and a Zika vaccine. Emergent has also successfully manufactured some of its own proprietary product candidates and an Ebola vaccine candidate as part of a third-party collaboration at the CIADM. Additionally, Emergent has begun manufacturing the company’s fully human monoclonal antibody anthrax therapeutic, raxibacumab, at the CIADM. In addition to manufacturing its own products, Emergent also offers contract development and manufacturing services for commercial customers. The centerpiece of Emergent’s CDMO services offering is the Company’s second manufacturing site in Baltimore, Md. for both bulk drug substances (BDS) and sterile injectable drug products for global customers, known as the Camden site. 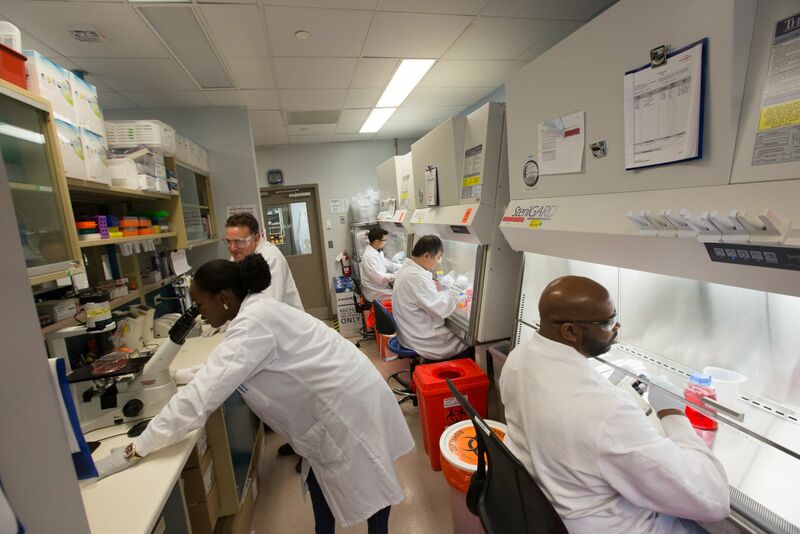 The Camden campus enables turnkey upstream and downstream support for mammalian, microbial, avian, insect and viral cell lines. For sterile injectable drug products, Emergent's service offerings include vials and syringes; liquid and lyophilized products. The company currently produces more than 30 commercial products and has supported the development and manufacture of more than 200 clinical candidates for its clients. The Camden campus has been inspected by multiple regulatory agencies including those in the U.S., Canada, European Union, Brazil and Japan. A $50 million expansion, initiated in 2018, is expected to be completed in 2021 and will significantly increase Emergent’s development and manufacturing capacity. 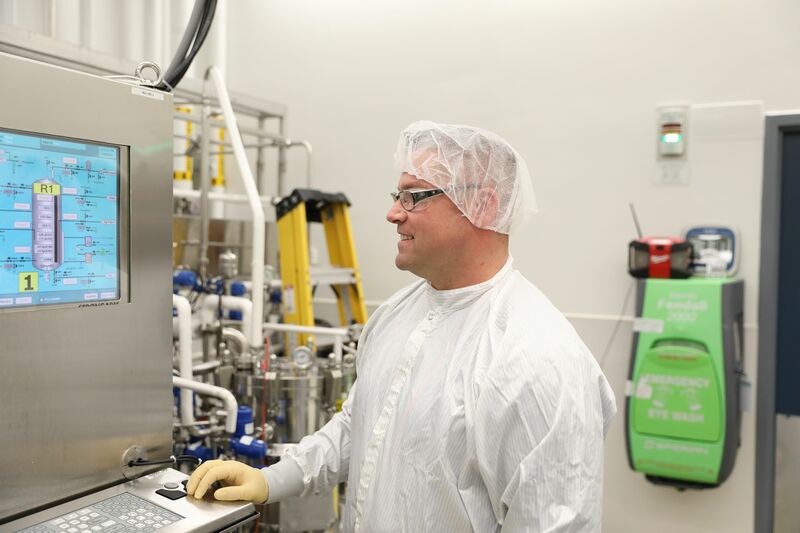 A project highlight includes the addition of a new isolator enclosed fill line, which will have the capability of filling vials, syringes and cartridges in a fill suite with dedicated utilities. Emergent is currently working on a prototype of a mobile manufacturing unit, leveraging its 40 years of large-scale Good Manufacturing Practices experience from its Winnipeg facility. The unit is designed to provide a nimble and responsive capability to manufacture antibody therapeutics in a controlled environment the size of shipping container or trailer truck, with the goal of being able to deploy the trailer truck as a response to an emergency in areas where an outbreak is declared. The concept is to deploy the unit, collect plasma from patients who have recovered from the disease and use that convalescent plasma to manufacture product on-demand right in the mobile unit. The mobile manufacturing unit is part of innovative efforts for distributed manufacturing that uses a process that has been adapted from Emergent’s proprietary hyperimmune platform, which produces some of its marketed products; specifically, the company’s therapeutics for anthrax disease and for complications from smallpox vaccination. Emergent has established some key partners with innovative technologies to integrate into this platform and continues to build a network of collaborators who are looking to make a positive impact on public health around the world. Over the past 20 years, Emergent’s core competencies in advanced development, quality manufacturing, government contracting, and strategic mergers and acquisitions have served as a competitive advantage in growing the company’s presence globally. The company aims to be the go-to provider of medical countermeasures and preparedness solutions for governments, first responders, NGOs, and other organizations. Two key value-added acquisitions in 2018 have enabled Emergent to achieve its vision of protecting and enhancing the lives of 50 million individuals earlier than its stated goal of 2025. Emergent expects to continue to grow its current business, make significant progress in its development pipeline, and achieve its financial goals, which include reaching a total revenue of $1 billion, with more than 10% of product revenue from international markets, by 2020.